The cold fronts have kept us on our toes, but the fishing has been great. Was able to sneak out Thursday with the gang from Guice Offshore(Nathan and Clark). I doubt anyone has fished with me more over the years, other than Nathan. In all that time, we had never gone sight fishing for red fish. The seas were calm, water was clear, we had light winds and there was little to no clouds. Both Nathan and Clark are pinpoint accurate casters, so we had to make a go for it.Took advantage of the calm seas and went across to the LA Marsh. Barely had enough water to fish in some of the red fish ponds, but we made it in. They were quick to pick up the technique and were picking off slot reds in no time. Most of the casts were a rod length away, and we got to watch the fish eat. They got their limit and came home in time for an early lunch. Friday and Saturday was a good one, with some old buddies of mine. Don "Duck" Elliot, his son Matt and Jim "Crazy A" Rivers have been coming the last two years to enjoy the fishing on the MS Gulf Coast. These misfits have been my buddies since my days in Venice, LA. Last fall when they came, they left with a truck load of flounders. We were gonna try for a repeat this year, but it would not be in the cards. In two days of hard fishing, we only managed a couple of flatties. We even took two boats on Friday, to cover more water. 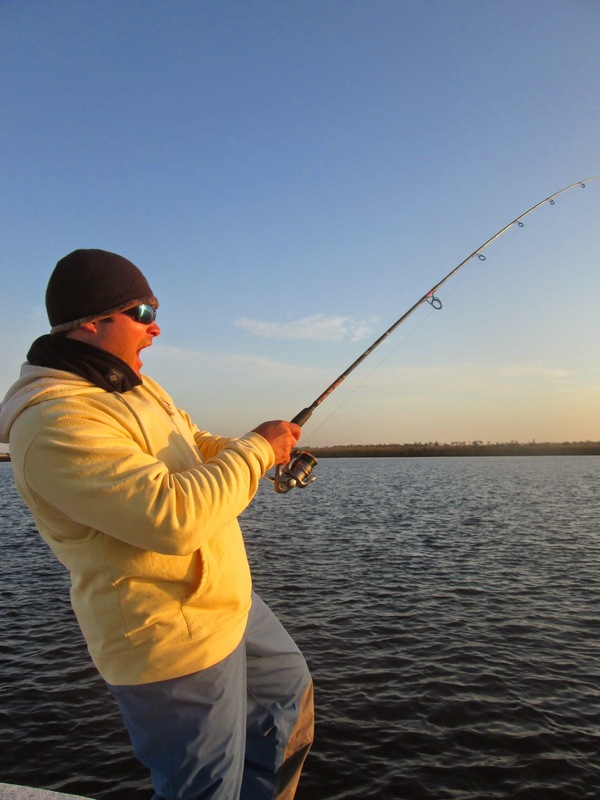 Capt Matt pulled the plug on his flounder quest early on day one. I opted to grind it out until Mr Jim cried uncle. Capt Matt, Don and "other Matt" finished strong with a nice box of specks, reds, and released a load of large mouth bass. We knew the wind was gonna howl on Satuday, and lord did it. 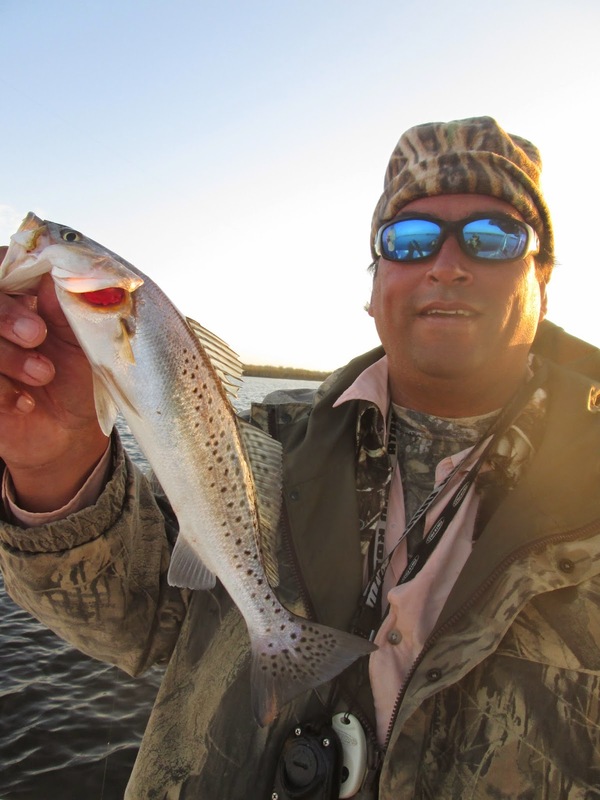 The day before, Capt Tom had done well on the trout with his buddy Laney. Since I devoted my entire Friday to looking for flounder, I was flying blind on the trout. Instead of breaking up the three man crew into two boats, we suggested EVERYONE jump in one boat. We saved the boys a few bucks and I got to fish with my old buddies and my man Capt Tom. This allowed the story telling to get very good, and I got to see first hand how Capt Tom was catching his trout. Despite the gale force winds, Capt Tom did a phenomenal job on the trout. He set us up on some points and bars with good moving water. The bite was extremely soft, because you had to drift the baits down the current lines. Once everyone got a feel for the bite, it was game freakin on. The Matrix shads tight lined were deadly. We did use the live shrimp and cocahoes to find the fish first. 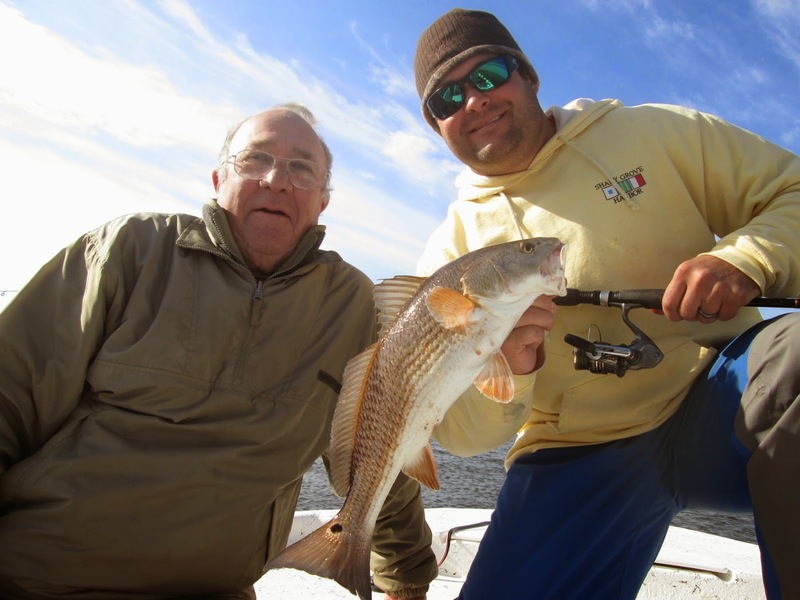 Capt Tom worked his tail off to keep everyone baited in the "sweet spot". 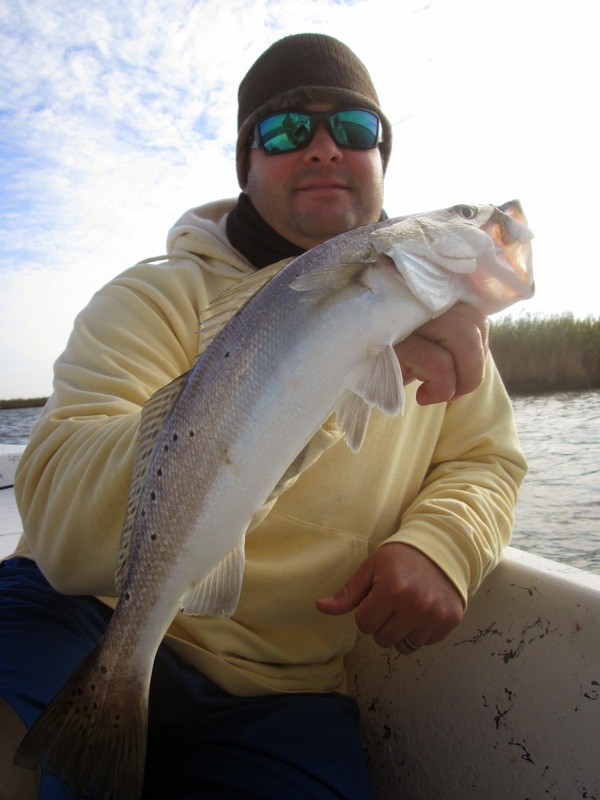 His hard work and diligence got us 47 speckled trout and 1 slot red in awful conditions. I was just happy to hang out all day with some good friends, the box of fish was just lagniappe. Since this type of fishing is already in a winter time type pattern, it should be smooth sailing for the next few weeks. We should be able to take advantage of the shorter runs, despite the cold weather. Capt Tom only had to run 3 miles on Friday and said they did not even have time to get chilly. We are open 365 days a year and still have boats open most days. We even have boats going out Thanksgiving morning this year. 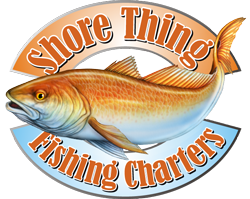 Give us a shout if you wanna get in on the great cool weather fishing.